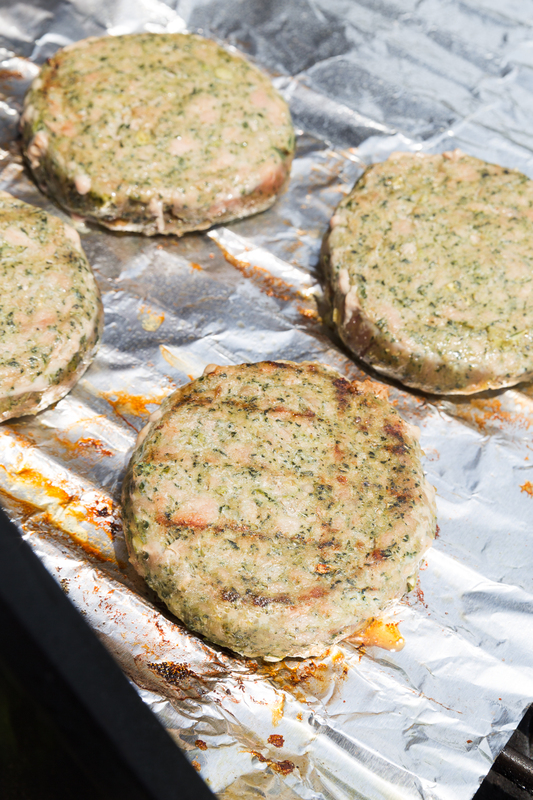 Spinach & Kale Turkey Burgers: a delicious twist on a classic burger. 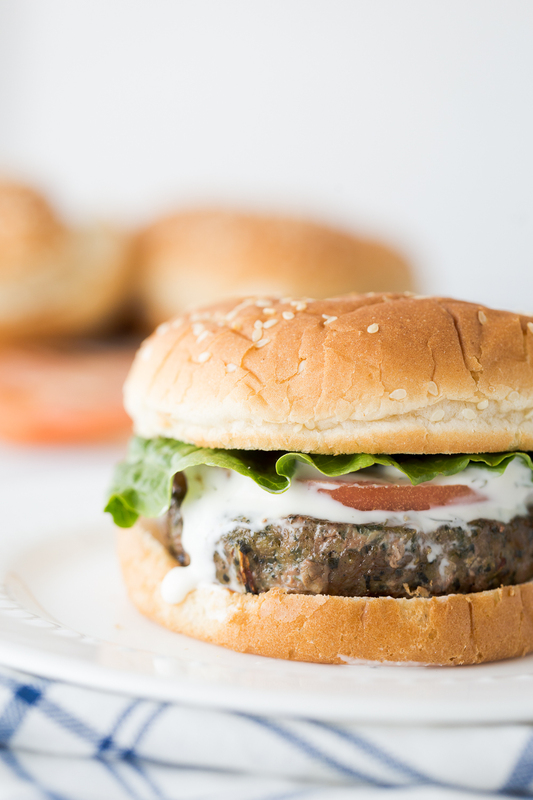 These turkey burgers are topped with a delicious homemade ranch dressing. 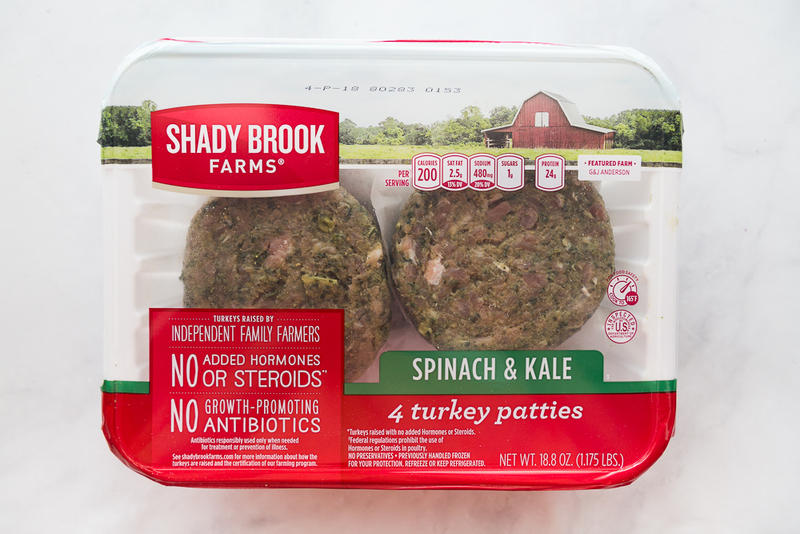 These burgers come together super quickly with the help of Shady Brook Farms and their pre-made Spinach & Kale turkey burger patties. I love using Shady Brook Farms turkey products when creating delicious turkey meals for my family like our honey lime turkey breast strips or our delicious Teriyaki Turkey Meatballs. 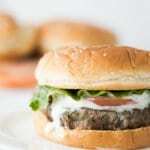 These burger patties are great for your summer time picnics! These burger patties are great for your summer time picnics and a healthier option to enjoy during the hot months. 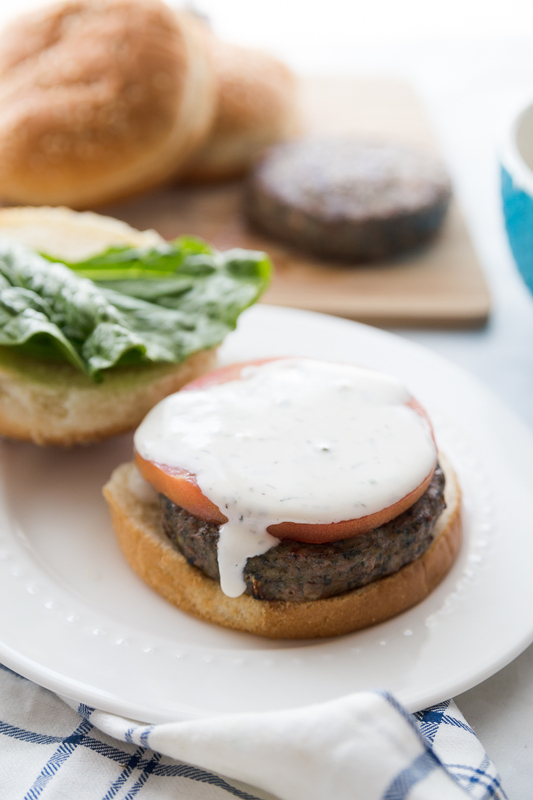 While you don’t necessarily NEED a ranch dressing on top of the burger it does add another pop of flavor that is too good to miss! 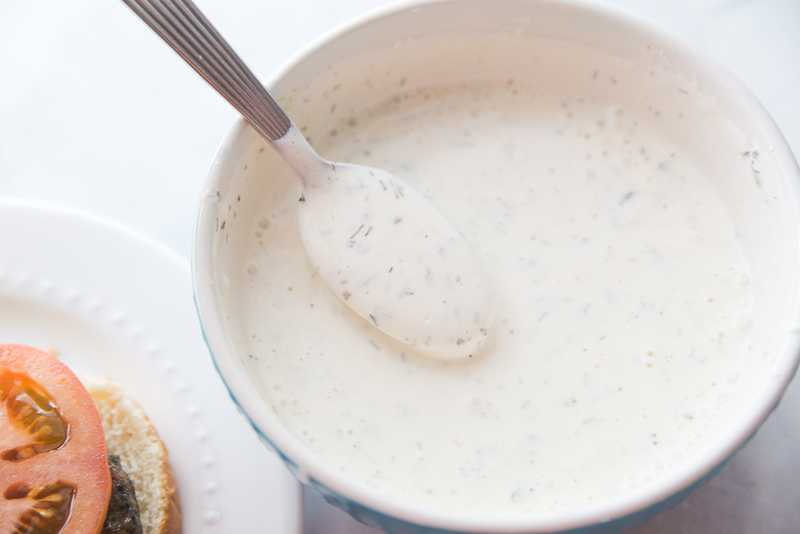 The ranch dressing is made with greek yogurt which still keeps this a dish with fewer calories than a traditional cheeseburger. When making this ranch dressing I added milk until it was my desired consistency. I wanted it a bit thicker than what a salad dressing would be but feel free to adjust to your personal preference. Whisk together mayo and greek yogurt until smooth. Add the spics and sugar and whisk until combined. Add the lemon juice and whisk. Whisk in milk until desired consistency and taste.